We are now accepting deposits for a repeat litter between Clancy and Piper. Piper comes from master hunting lines and has an excellent pedigree. Clancy of course is our big lover. He is stunning to look at but an absolute gentle giant. Pups have amazing coats and will probably end up being good size. They will have fun personalities and make good hunters for the bird dog enthusiast. 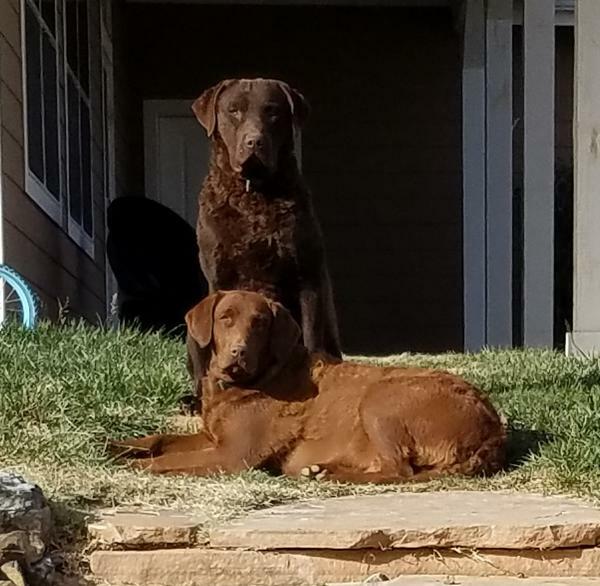 Desert Winds "Worth the Wait"
We are now taking deposits for a beautiful healthy litter between Peyton and Clancy. Peyton is a sweetheart with excellent blood lines and a wonderful personality. 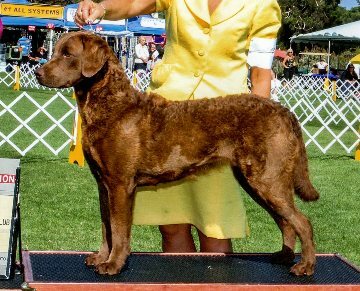 She is a champion show chessie with incredibly stunning features. Clancy's sire is a show champion and as you can see from the pictures Clancy carries all those same stunning qualities.. 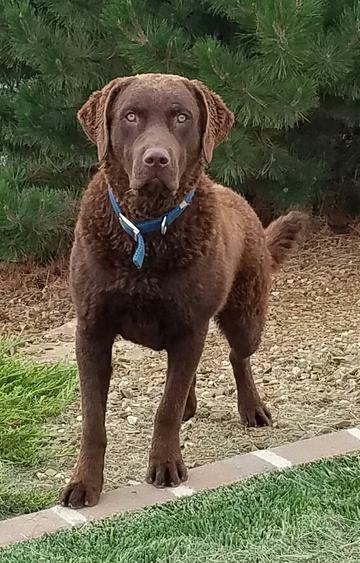 These pups will have excellent personalities, beautiful coats and a classic beautiful chessie look. Please call or email us with any questions.